We Have Served The Transportation Needs Of The Paving Industry For The Last 25 Years! 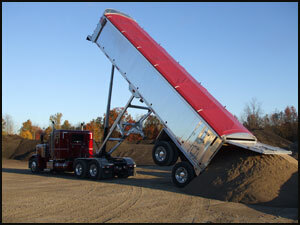 Ask us about transporting elevated temp liquid and aggregate for the paving industry. 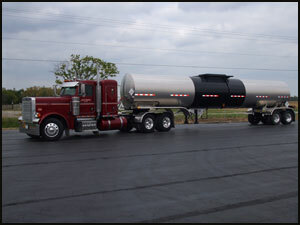 Our tanker fleet consists of 20 late model, lightweight aluminum barrel insulated trailers being pulled by a great group of dedicated owner operators and company drivers that are committed to providing great customer service. Since incorporation we have continued to expand from just dump trailers hauling aggregate, to a diverse fleet of equipment for the ever changing demand of the paving industry. Our fleet consists of flatbed trailers for barrier wall; heavy steel dumps for concrete and asphalt tear out, lightweight dumps for aggregate, lightweight tankers for liquid asphalt transportation, to live bottom trailers for paving. We can handle the trucking part of a job from start to finish. In 1987 Jeff Miller and Dave Eischen realized that after years of driving for someone else, that he could take what he had learned and produce a trucking company that would provide customers with high quality, dependable service that customers would embrace. 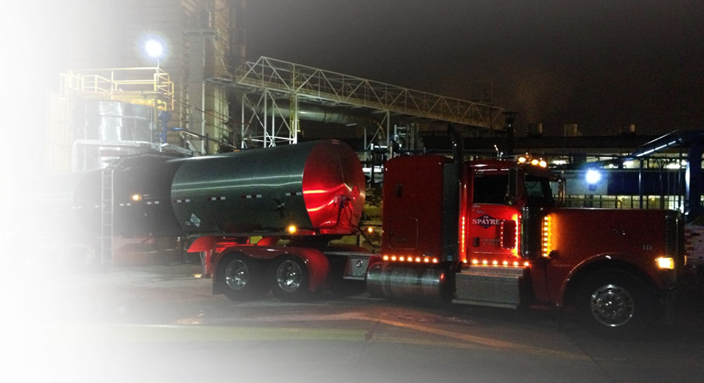 We offer insulated hot oil trailers for elevated temperature products. Late model light weight trailers for more product relocation. Tracking by phone and GPS. Member of Smartway Transport Partnership for an improved environmental performance in freight operations by the EPA. Big enough to handle large quantity moves, small enough to be dedicated to on time personalized service. Knowledgeable, courteous and dedicated drivers that appreciate the opportunity to provide our customers with great service. Late model equipment to provide on time deliveries and make your jobsites look good. Skilled drivers with the experience to get your products delivered without delays. A variety of equipment, from steel dumps for oversize product, live bottom asphalt trailers, to aluminum dumps in different size for cubic volume or jobsite maneuverability. Flatbed trailers for barrier wall and other misc. loads. Detachable equipment trailer available with experienced operator for equipment relocation. Drop deck flatbed with 40’ bottom deck.